Cannot be combined with any other offer or special. Can not be used with BOGO Wiper Blade Special. Valid toward any service or repair, when the appointment is made through our website. inMOTION Auto Care Exclusive Promotion! Purchase 3 Shocks/Struts at the regular retail price and get the 4th one for FREE. My love affair with cars began in High School – the object of my affection: a beautiful, blue 1971 Chevy Nova Super Sport. I didn’t know it at the time, but my high school crush would turn into a life-long passion and a great career. 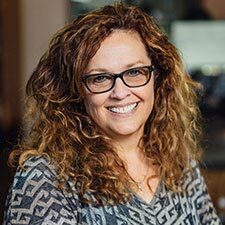 After graduation, I enrolled in the Automotive Technology program at Southeast Community College, Milford Campus and was the second woman to graduate from the 18-month course. I also completed the Parts Management program. I worked my co-op quarter at Gotfredson Chrysler-Plymouth (which later became Russwood) then moved to Columbus and became the Parts Manager at the Dodge Dealer. After 3 years, I moved back to Lincoln and was with Gotfredson-Russwood until 2012. 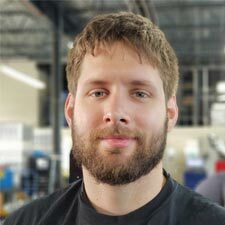 I started in parts as the Wholesale Parts Advisor and after a year moved into the Parts Manager position. In 1997, I became the Service & Parts Director. After Russwood announced its closing, I purchased all of the shop tools and equipment and decided it was time to open my own place. I invited Jared to be my partner and we haven’t looked back. It has been a very fulfilling experience and I’m looking forward to many more years in this ever changing industry. How long have you been in the auto industry – 16 years. What got you into the auto industry? - Out of high school I wanted to know how to do basic repairs to my vehicle and it grew from there. What positions have you held? - Maintenance technician, car washer, automotive technician, service advisor, owner. What education and/or industry certificates do you currently hold? 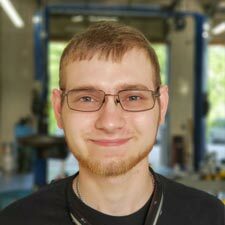 - Associates Degree in Automotive Technology from SCC Milford, ASE Certified Technician and ASE Certified Service Advisor. Have you had any specialty training? - When I was working as a technician I was a Chrysler/Jeep/Dodge specialist. 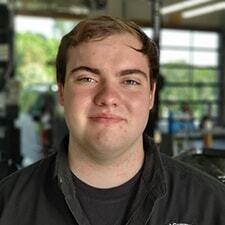 I attend the Vision Hi-Tech Training in Kansas City every year, RLO service advisor training, ATI Management Training, Automotive repair training through Napa, Carquest, ect…. 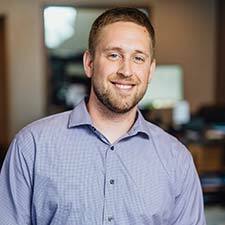 Who is in your immediate family - I have been married to my wife Diana for 13 years, I have an 8-year-old daughter named Lily, a 6-year-old daughter named Kate, and a toddler son named Graham. What do you like to do when you’re not at home? - Work on my house, go on dates with my wife, and play with my kids. Do you have pets? - I have a dog named Lola and a cat named Space Kitty. What is a dream vacation for you? - Anything warm, sunny, and beaches! How long have you been in the auto industry – 5 years. What got you into the auto industry? - Going to business school and then I started helping around here and really like it. What positions have you held? - Maintenance Technician and Service Advisor. Have you had any specialty training? 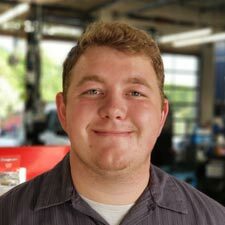 - I attend the Vision Hi-Tech Training in Kansas City every year, RLO service advisor training, ATI Management Training, Michelin Tire Training, Ratchet and Wrench Conference. Who is in your immediate family - My fiance Victoria, my daughter Viarra, my baby son Ezra, my mom Sherri, and my dad Ted. Do you have pets? - I have 2 dogs named Shadow and Willow. What is a dream vacation for you? - Backpacking through Asia or Australia. How long have you been in the auto industry – 14 years. What got you into the auto industry? – I got a job working at Russwood Chrysler in 1996. What positions have you held? – Sales and Service Advisor. 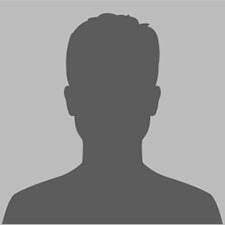 Who is in your immediate family – I have been married to my wife Sherrie for 27 years. I have a son named Spencer who is 24 years old and a son named Tyler who is 21 years old. What do you like to do when you’re not at work? – Hang out with my family and I have a mobile DJ service. Do you have pets? – I have a Chocolate Lab named Sparky. What is a dream vacation for you? – Florida, Cancun, or somewhere beachy. How long have you been in the auto industry – 30 years. What got you into the auto industry? - I have always loved performance vehicles and have been working on them for years. What positions have you held in your past jobs? - Technician, teacher, service advisor, student. What education and/or industry certificates to you currently hold? - ASE Master Certified Technician. Who is in your immediate family? - My wife Shannon, my son Jess, my son Zander, and my daughter Bella. What do you like to do when you’re not at work? - Working on my new house. Do you have pets? - I love cats! I have 3 cats names Mae, Loki, and Hailey. I also have a dog named Ginger. What is a dream vacation for you? - I would love to travel to Australia one day. 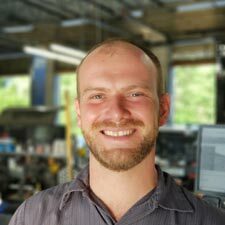 What got you into the Automotive Industry? – I’ve wanted to work on vehicles ever since I was 2 years old. My family told me I used to walk up to people, stick out my hand, introduce myself, and tell them I wanted to grow up and be a mechanic. Have you had any specialty training? – I rebuilt transmissions for a year and half. I am ASE Master Certified and Air Conditioning Repair Certified. 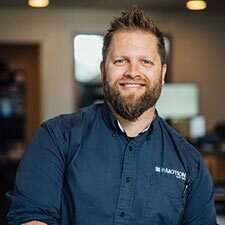 I attend 40 hours of live training every year and attend the Vision Hi-Tech training every year in Kansas City. Who is in your immediate family? - I grew up in a family of 7. I was the only boy of 5 kids. I also have my Finance Natalie and my baby son Harlan. Do you have pets? – I have 3 Ferrets names Simon, Merlin, and Flora. How long have you been in the auto industry – 13 years. What got you into the auto industry? – I joined the National Guard out of high school as a Diesel Mechanic and served in Iraq for a year as a Diesel Mechanic. What education and/or industry certificates to you currently hold? – ASE Certified Technician. Honda Certified Technician. Toyota Certified Technician. Have you had any specialty training? – Military Diesel Technician. Military Wrecker Operation. Who is in your immediate family? – My beautiful and incredible wife Jessie and our perfect baby boy Charles. What do you like to do when you’re not at work? – Camping and Fishing. Do you have pets? – I have a dog named Bella. How long have you been in the auto industry – 3 months. What got you into the auto industry? – After high school I decided I didn’t want a desk job and I didn’t like the idea of pencil pushing for the rest of my life. I also don’t mind getting a bit dirty! What education and/or industry certificates to you currently hold? – I am currently attending SCC Lincoln for a degree in Automotive Technology. What is a dream vacation for you? – 3 weeks of mountain side lodging at a ski resort. Preferably free of charge! What got you into the auto industry? – I took an automotive class in the High School and that struck my interest in cars. What education and/or industry certificates to you currently hold? – I have an Associates Degree in Automotive Technology from Flinthills Technical College. Have you had any specialty training? – ASE Certified Technician, Napa Training, BG Training, GM Training, First Aid. What do you like to do when you’re not at work? – Wood carving, wood working, art, golfing, fishing, working on cars, yardwork. What got you into the auto industry? – My grandpa’s 1967 Oldsmobile Cutlass. I just loved the car and we worked on it together. What education and/or industry certificates to you currently hold? 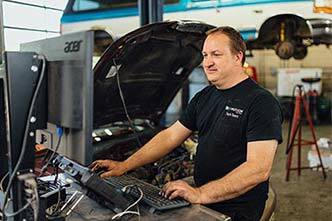 – Associates Degree for Automotive Technology from SCC Milford. Who is in your immediate family? – My mom Bobbi. My father Tim. Older brother Trent. Older sister Rebecca. And younger brother Tristen. What do you like to do when you’re not at work? – I am currently restoring a 1987 Firebird. Do you have pets? – I have a dog named Max and a cat named Jasmine. 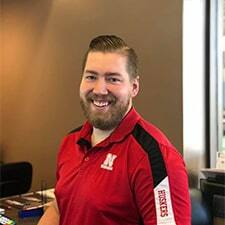 Sherri Stock and Jared McPike opened inMOTION Auto Care in Lincoln for one simple reason: to deliver the best auto repair customer-service experience possible. With a team that includes highly skilled auto mechanics, we are doing precisely that. You can count on us to maintain the highest level of integrity and professionalism through the entire process. 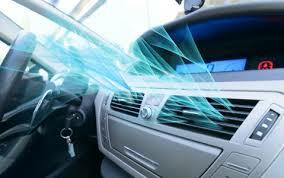 inMOTION Auto Care is dedicated to your safety and to extending the life of your car. We are your go-to auto repair partner. Our entire staff is professional and friendly, with every auto technician being ASE-Certified (many are Master-Certified). 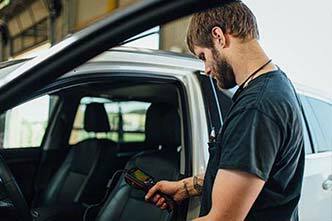 Our technicians receive a minimum of 60 hours of annual education and training, to better serve you and your vehicle. We work hard to stay ahead of the curve, to ensure we deliver nothing short of stellar work and offer the best parts and labor warranties in the business (5-year/50,000-miles). We go out of our way to ensure an excellent customer-service experience with a staff that cares about you, your safety, and your vehicle’s performance. We invite you to call, schedule an appointment online, or drop by to visit and chat with us. We’re located at 131 Russwood Parkway, Lincoln, NE 68505, and we’re open Monday to Friday between 7:00 AM and 6:00 PM. Tires are the single most important safety feature on your car. 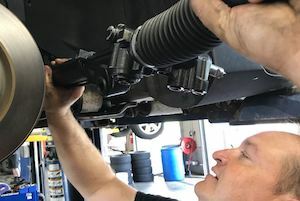 They are the only thing that connects the car to the road, and life-saving technologies like antilock brakes and electronic stability control cannot do their job if the tires don't have a good grip on the pavement. As the adage goes, nothing lasts forever. Despite advances in longer-lasting tires, actual tread life will vary by car type, tire type (such as all season or high performance), driving aggressiveness, and even road and weather conditions. 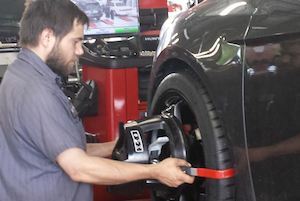 Proper maintenance and responsible driving can maximize the mileage in a set of tires. InMotion Auto Care, of Lincoln, NE is here to help you stay safe on the road, as a preferred tire provider. Make an appointment today! I was told by a major Hyundai dealer that I needed to replace my ball joints, a $350 repair. I brought my car to InMotion and was told they are fine. No repair necessary. I was prepared to fork out hundreds of dollars but they definitely earned my business when they told me their Master Certified Technician said no problems were found. Need a trustworthy repair shop? Take your car to InMotion. Friendly positive staff. Very helpful with explaining what is going on my my car and what is the best way to approach the situation. Would recommend to anyone. This morning InMotion changed my oil and I had a fantastic 5 star experience. I was offered services very clearly with no pressure to purchase more service than I wanted. The waiting room was comfortable and the coffee was hot. The shuttle service was offered, but I decided to just wait. I will and do recommend InMotion to my friends. This review is coming late but it still needs to be said. This is such an amazing car repair shop with extremely compassionate and happy people who work there. I took my car in because it was experiencing a constant shake every time I would slow down. I still needed my car to go to work and so they provided me a vehicle to use while they had my car. They fixed my car by the next day and made sure that I was satisfied with the service. These guys are the best in Lincoln and I'm never taking my car anywhere else. I felt listened to and taken care of the whole time. 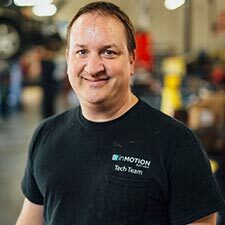 Please take a trip to In motion if you're having car issues. They are well worth it. Looking for a Fantastic Career? Do You Want to Earn What You’re Worth? Do you pride yourself on the quality and quantity of the work you produce? Do you believe in the right environment you could be doing more for yourself and your family? Have you wanted to work for a company that truly cares for its employees? Do you want to be appreciated for your ability and want to be a part of a company that is committed to keeping you current with the rapid changing technology? If you answered yes to these questions, we want to talk with you!